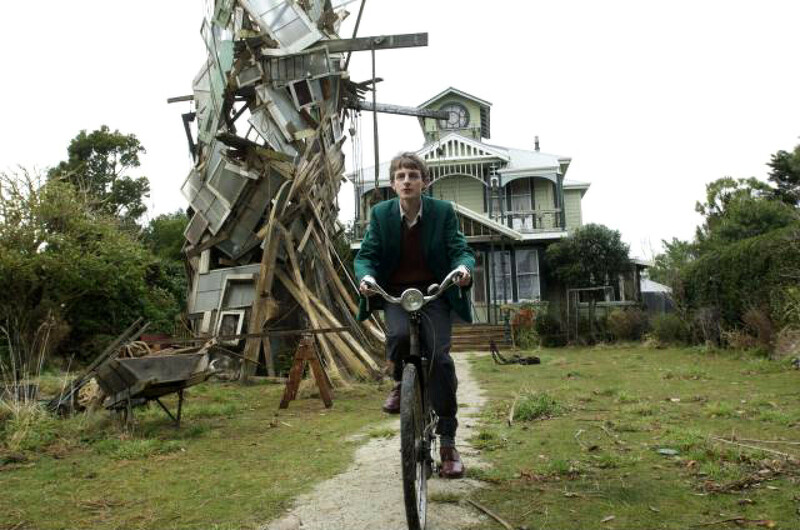 Cedric's house is symbolic of his social isolation. 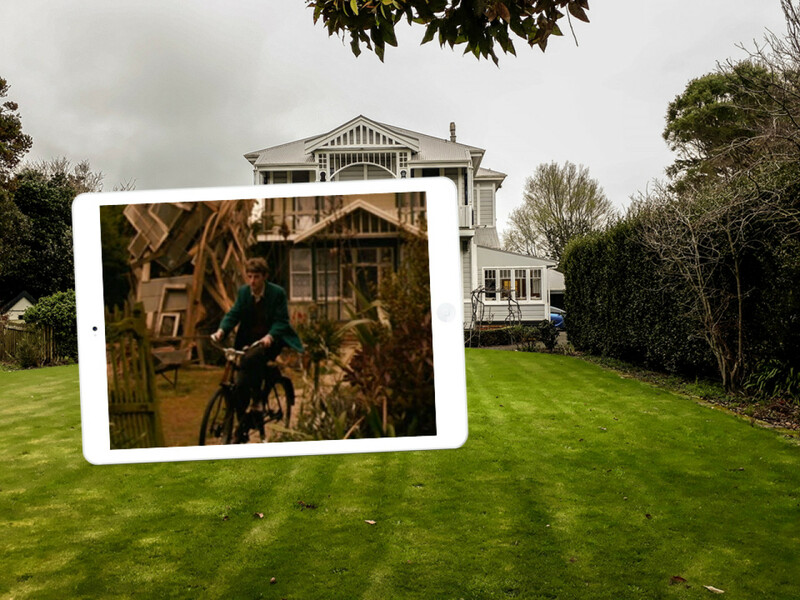 Add to that his embarrassing father Martin's weird junk tower on the front lawn, and you understand why Cedric has a very ambivalent relationship with this place. 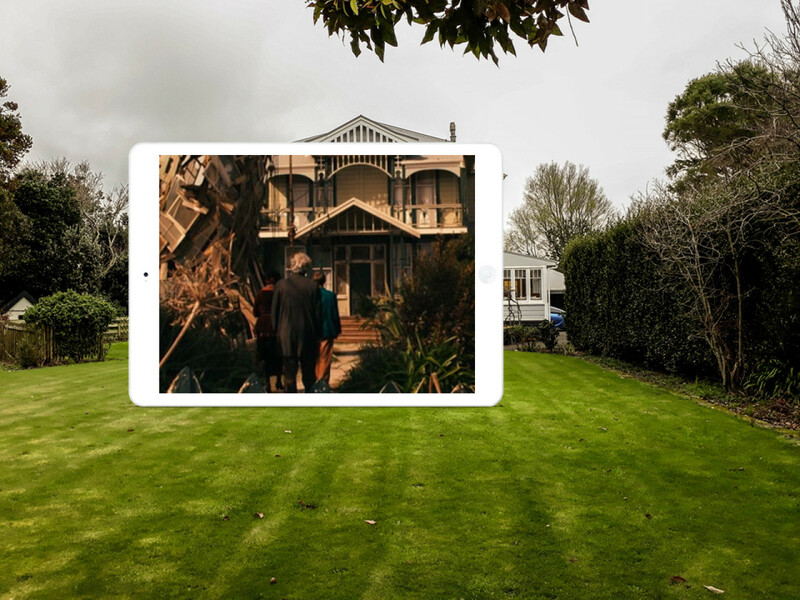 In real life, the house is a privately owned property in Hawera, South Taranaki. Built around the beginning of the 20th century in Wellington, the two-storey villa was moved to its current location in 1994. Originally, it was built as two semi-detached homes, which explains why there is no central entrance. For the film, the tower on the front lawn was constructed under the supervision of production designer John Harding who describes it as a frozen tornado: "Although it’s kind of deranged and something that mathematically seems impossible; it magically stays up as if by the strength of Martin’s will, as much as by his great architectural talent." For filming purposes, an attic was added to the original house, as was the roof above the entrance. Remember this is a private home. You are welcome to take photos from the street but please respect the owners' privacy. Cedric leaving for town - a scene we see at the beginning of the film. The gravel path Cedric is biking on was put in by the production design team. Cedric and misfit Mervyn concocting new plans. 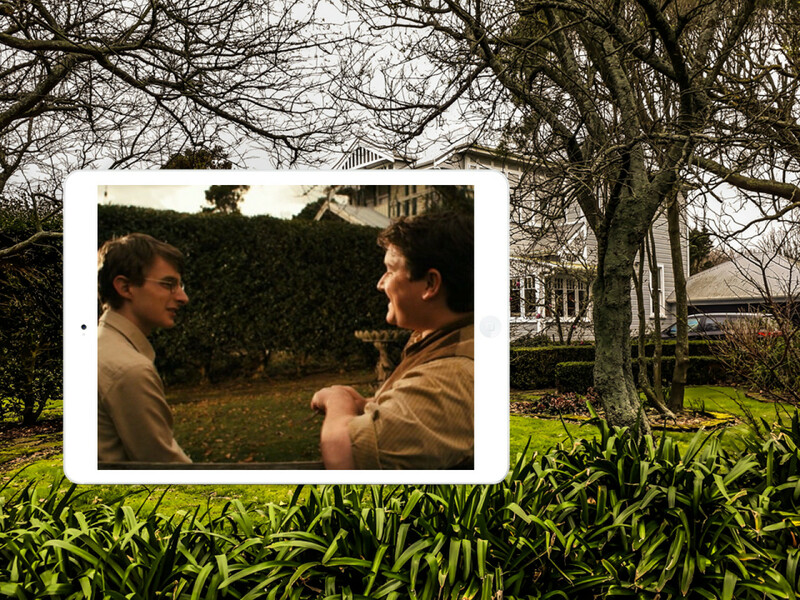 At the end of the film: Cedric, Martin and their housekeeper Rita return home. 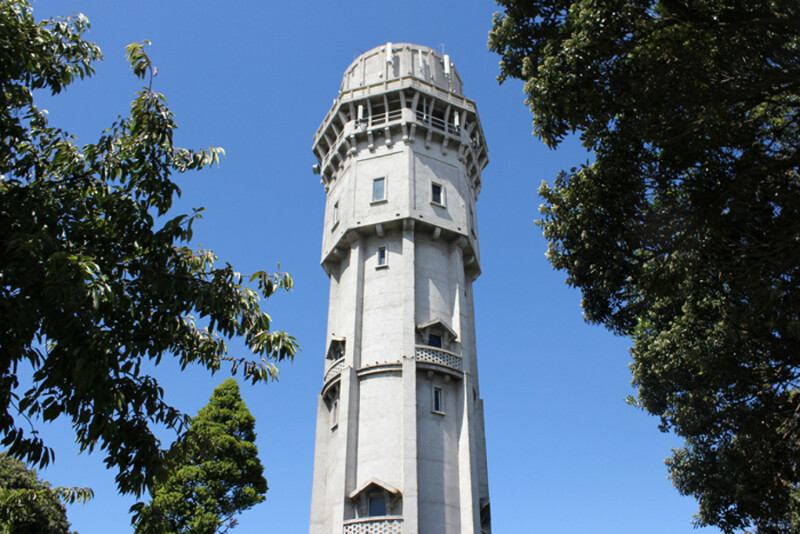 Hawera's water tower, built in 1914, is said to be the inspiration for Ronald Hugh Morrieson's tower in the book. During the time of filming, actor Tim Finn - who plays Cedric's father Martin, decided to climb the water tower in order to get a glimpse into Morrieson's world. the whole thing was really absurd, hugely funny – an extreme reaction to a problem." The tower is open to the public daily (except Christmas) but entry fees apply. For more information about the tower, download the official brochure.